Fun stop motion social video for Cadbury. Stop Motion social video for Bulla Spreadable Cream Cheese showcasing a number of serving suggestions. This Valentine’s Day promotion for super fund Hostplus featured mobile billboards and press ads that utilised cheeky lines to draw people to the microsite. 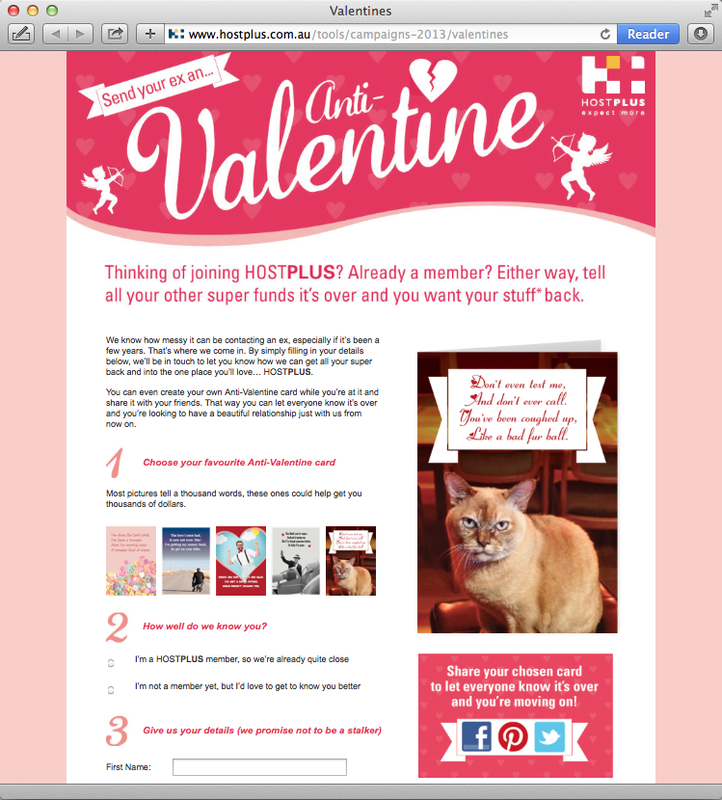 Once there, people could choose one of the amusing “Anti-Valentine’s Day” cards to send to one of their current super funds and to share via social media to say that they’re leaving to consolidate their “relationship” with Hostplus.